Available to all TRICARE eligible recipients (E-1 through O-10) regardless of service! The TRICARE Standard/Extra Supplement High Option II Plan provides benefits to help pay your TRICARE cost share for in-hospital and outpatient care, doctor visits, emergency room care, prescription medications, and much more. The High Option II Plan also pays 100% of Covered Excess Charges up to the Legal Limit. The High Option plan has a fiscal year Plan Deductible of $250 per person and $500 family maximum. There is also a plan for Dependents of Active Duty Members. TRICARE Young Adult (TYA) is a “premium-based health care plan available for purchase” by qualified adult children, under age 26, after their eligibility for regular TRICARE ends. TYA offers TRICARE Standard coverage and includes medical and pharmacy benefits. For further information on TRICARE Young Adult, please visit the TRICARE web site at www.tricare.mil/tya. 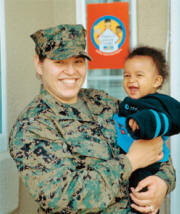 Effective May 1, 2011, the TRICARE Supplement Plan will provide supplemental coverage for dependents enrolled in TYA. These young adult dependents will have the same supplement plan premium rates, benefits and coverage limitations as dependent children under the age of 21 or 23 if full-time student. To enroll your adult dependent child in the TRICARE Supplement Plan, complete the enrollment form and mail to ASI along with a copy of his/her TYA enrollment card. You are eligible to enroll provided you are an eligible TRICARE recipient, under age 65, and entitled to retired, retainer, or equivalent pay. If you are age 65 or over and ineligible for Medicare, you may enroll in the plan by attaching a copy of your Social Security Notice of Disallowance of Benefits to your Enrollment Form. Coverage is also available for your TRICARE-eligible spouse under age 65, and dependent, unmarried children under age 21 (23 if in college). Eligible spouses and children of active-duty service members may enroll; TRICARE-eligible widow(er)s and ex-spouses may also enroll. TRICARE eligible dependent, unmarried children under age 21 (23 if in college) may also enroll. Your coverage and that of your covered dependents becomes effective on the first day of the month following receipt of your Enrollment Form and first premium payment. If, on that day, you or a covered dependent are confined in a hospital, the effective date will be the day following discharge from the hospital. Routine newborn and well baby care, hospital nursery charges for a well newborn, dental care, treatment for prevention or cure of alcoholism or drug addiction, and prosthetic devices are limited to expenses covered by TRICARE. See coverage information below for mental, nervous, or emotional disorders. conditions will be covered immediately. stated Plans or Benefits, payment will only be made under the one that provides the highest coverage, subject to the Pre-Existing Condition Limitation. b) 45 Inpatient treatment days for a Covered Person under age 19; per Fiscal Year. b) 90 Inpatient days per Fiscal Year. b) alcoholism and drug addiction; is limited to $500 during any Fiscal Year for all such disorders. 7) the date he or she becomes eligible for Medicare, if under age 65 at time of Medicare eligibility, you must notify ASI in writing. Termination of an Insured Person's insurance will not prejudice any claim which occurred before the effective date of termination. i) if a Spouse, the date he/she attains age 65. Termination of a Covered Dependent's insurance will not prejudice any claim which occurred before the effective date of termination. If a claim payable under the Certificate, it is also payable under an Employer Health Program with TRICARE as the secondary payor, we will limit our payment to an amount which, when added to the amounts paid by the Employer Health Program and TRICARE, will not exceed 100% of TRICARE Covered Expenses. It's easy to enroll in the TRICARE Standard/Extra Supplement Plan. Just complete the Enrollment Form—making sure to provide all information requested—and return it with your check for the first premium payment. That's all there is to it! You cannot be turned down for coverage, although a pre-existing condition may initially limit the extent of your coverage. After your completed Enrollment Form and first premium payment have been processed, you'll receive a certificate of insurance which you can examine for 30 days risk-free. Return it for a full refund if you are not completely satisfied.